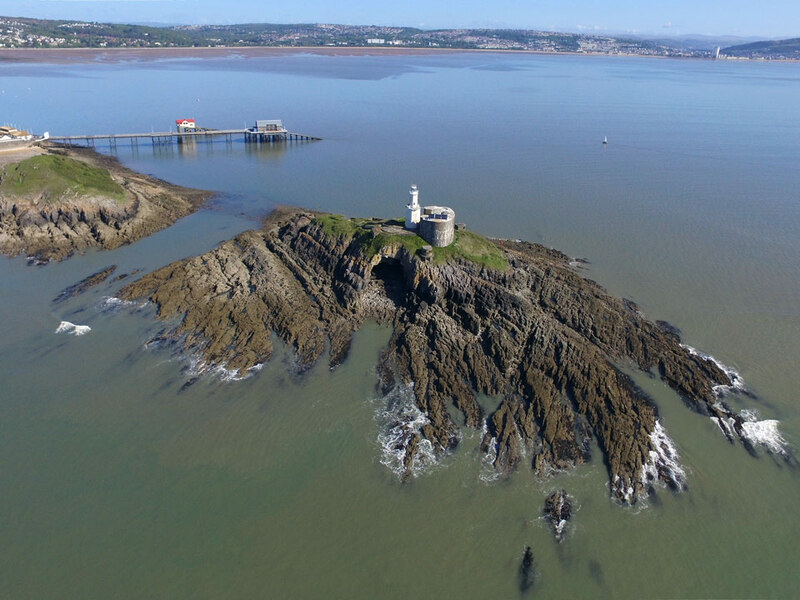 Mumbles Lighthouse was completed in 1794 on the outer of two islands off Mumbles Head. 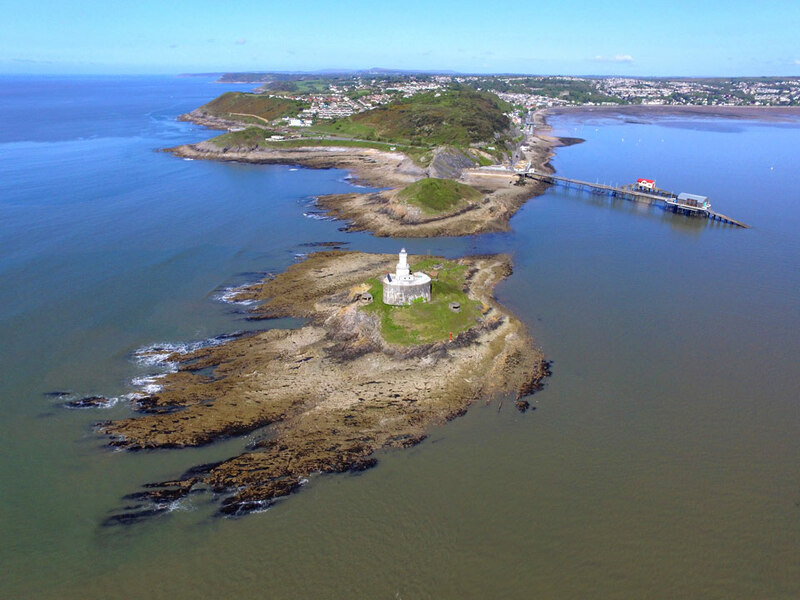 In 1860 a fort, the Mumbles Battery, was built around the tower as part of the Palmerston defences in Wales. It originally had five 80 pounder guns, which were replaced by two 4.7 inch QF guns in 1901. 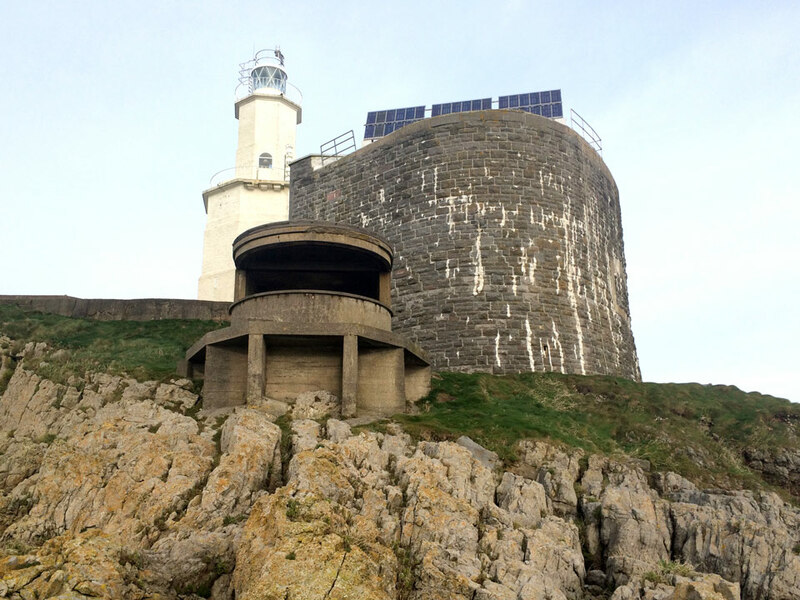 The battery was used in the Second World War after which the guns were removed and the site was then decommissioned in 1957. 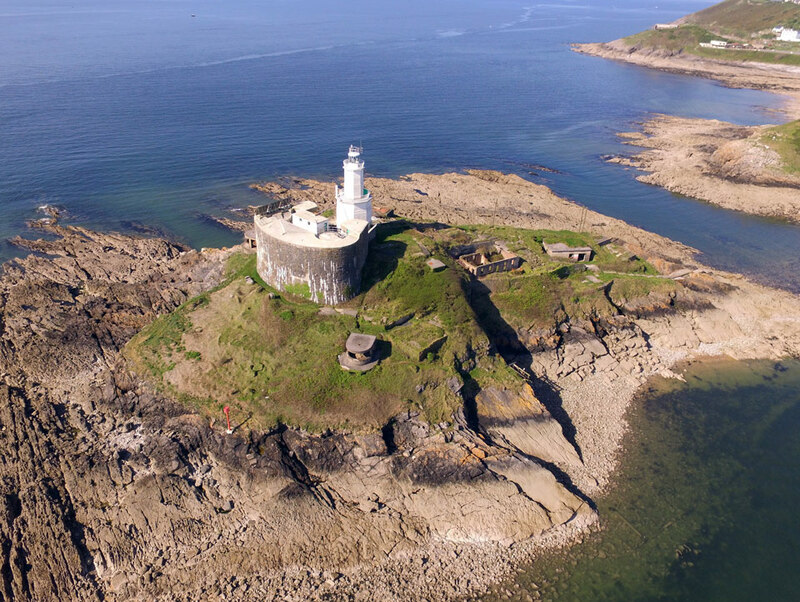 The local Territorial Army demolished most of the buildings on the lighthouse island in 1964.